Why do different countries spell whiskey differently? 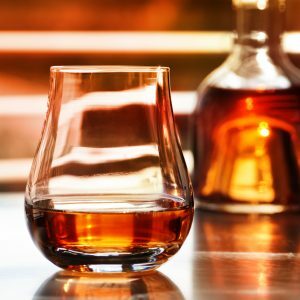 Why do different countries spell whiskey differently? Why do different countries spell whiskey differently? Have you ever wondered why certain countries have a different spelling for Whiskey? Some spell it with an “e” and some without. It might seem confusing but many Whiskey lovers take deep pride and importance in the spelling of their favorite spirit. The United States and Ireland spell it “whiskey”, while the rest of the world spells it “whisky”. The spelling debate begins in the spirit’s homeland: Ireland and the British Isles. Ireland and Scotland were the first countries known to produce Whiskey on a large scale, calling it “usage bretha” (water of life) at times. Over time, it became known as Whiskey. Here is where the difference began. In the Irish dialect that meant an “ey” to end the word, and in the Scottish dialect that meant only a “y”. From there, the divide splits along colonial lines. Countries originally colonized by the United Kingdom got their whisky knowledge from Scotland which meant Whisky. In early America people initially used both the Irish and Scottish spellings. The influx of Irish immigrants to the U.S. due to the potato famine in the 1800s led to a much larger Irish than Scottish influence in the country and thus the U.S. began using the Whiskey spelling that we know today.